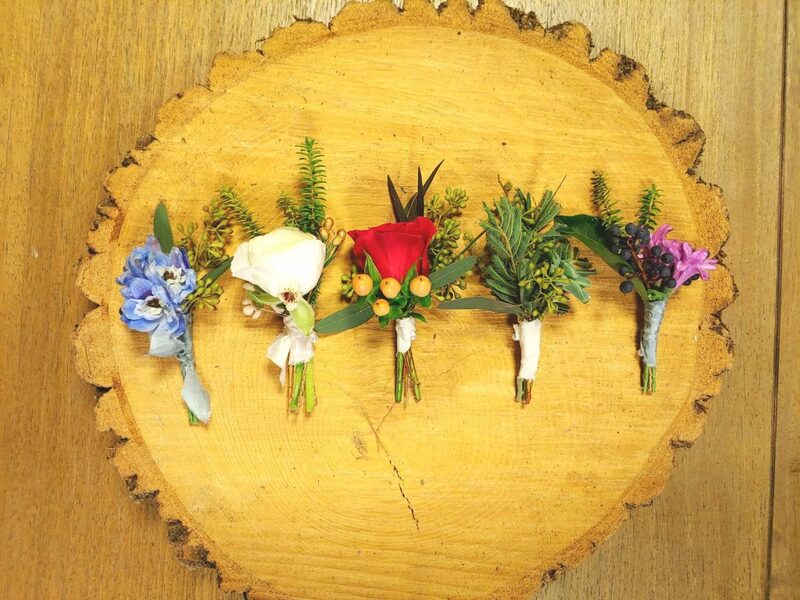 Let’s face it boutonniere’s are charming. Whether you are a groom, groomsman or guy going to the prom ladies love to see their men wearing blooms that compliment their dresses. Boutonniere’s weren’t always worn to charm the ladies. In ancient civilizations they were used to signify what team you and your friends were routing for during sporting events. They were also worn in battle so you would not mistake your comrades for enemies. 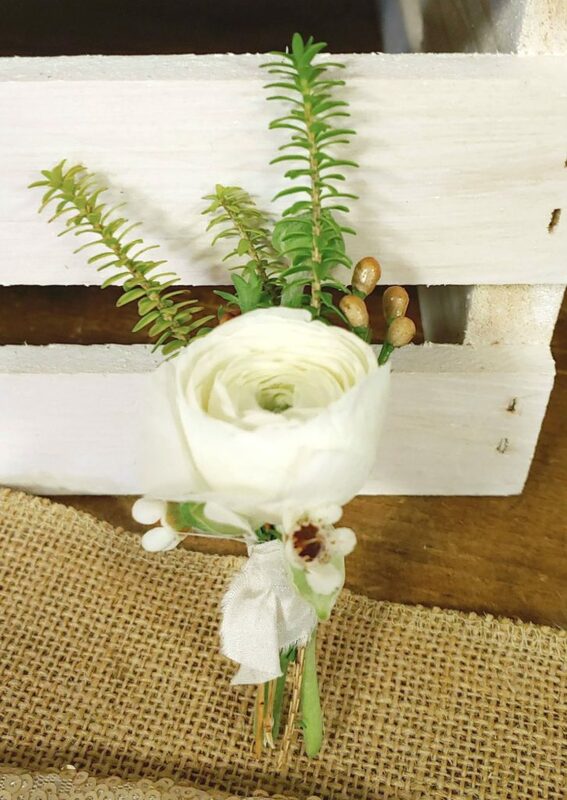 In modern history the boutonniere was placed through the button hole of a man’s jacket and was thought to help ward off evil spirits and foul smells. 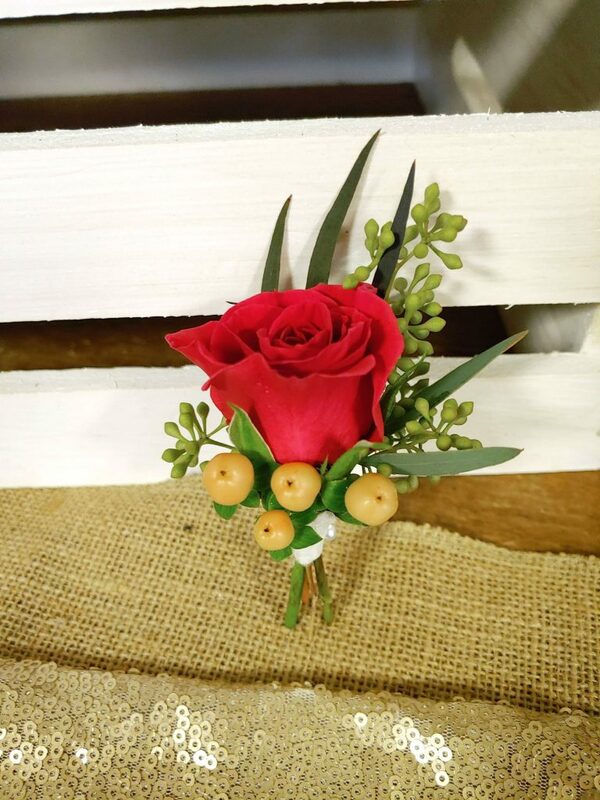 Now a days the boutonniere is pinned on and worn to add elegance to a formal event. 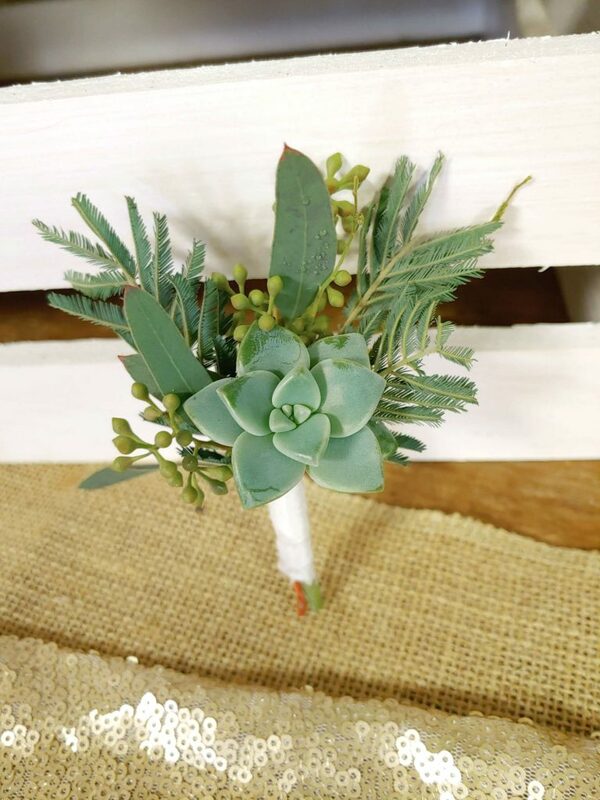 The groom’s boutonniere should be a little different from that of his groomsmen. 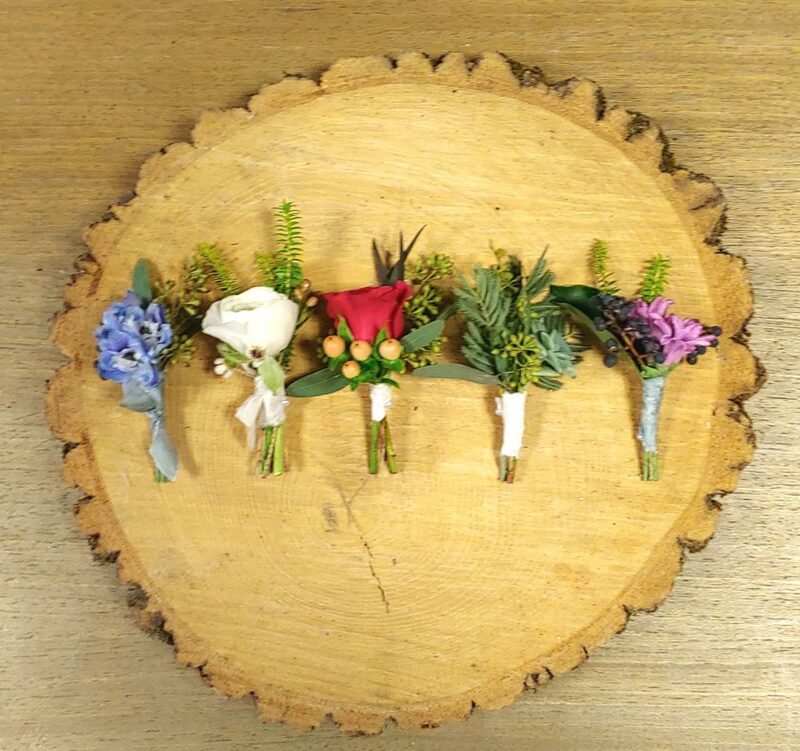 Common flowers used for boutonnieres are roses, calla lilies and orchids however, popularity has risen in using non-traditional blooms such as ranunculus, craspedia, succulents, brunia and thistles. To top it off greenery and a ribbon to match the wedding can be added for a little extra flare.